As SFBW continues to roll out its list series, roundtable discussions serve to dive deep into the minds of executives leading the region’s marketplace. This month’s focus is Hispanic-owned businesses. 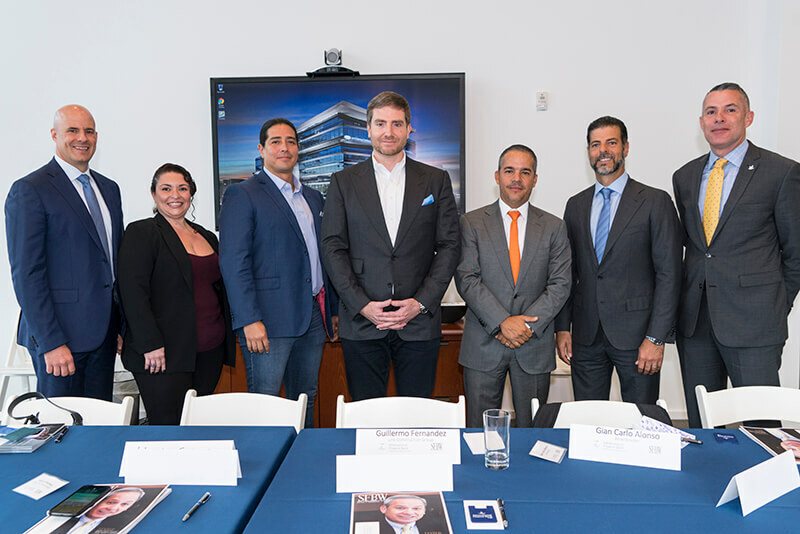 To accompany the Hispanic-owned businesses list in this issue, Editor-in-Chief Kevin Gale moderated a breakfast panel at International Finance Bank in Miami. Is there a Hispanic cultural approach to doing business that might be different than for businesses in general? What would some of the attributes be, if there is? Cataño: We are a melting pot. When we get here, we feel like all Latin Americans are feeling the same way you are, with an identity crisis. So you seek people of your descent, and that forms a bond. There’s a sense of comfort of us doing business among ourselves. Miami allows us to feel that way. In fact, I’m doing business with somebody very big and he doesn’t speak English. And he’s running a big company. He feels comfortable doing business from here instead of running it from where he was. Peña: I’d describe the Hispanic culture in business as having a family approach. I’ll never forget when I started meeting individuals and going to their homes to discuss business. I remember non-Hispanic natives saying, “Why are you meeting in this guy’s home? Your house is for your friends and family.” Everybody is like family, and that has made a huge impact on my own business. Anglo culture is more to the point. This is business, I’m in and out. That’s the major difference I’ve seen in my own experience. Fleches: I think there’s a sense of warming up in Hispanic communities, where when we do business with each other, we try to get to know each other. We go through a get-to-know-you process that’s important in order to conduct business. I know that may happen in other cultures, but I can tell you that, for us, getting to business takes a long time, but it’s the shortest piece of the conversation, and that’s OK.
Cueto: Being born here, I view it in a different way. I don’t know how to do business anywhere else. When I go to cities that are not as diverse as Miami, I’m almost like, “How do I do business with non-Hispanics?” My circles started off as Cuban. As Miami continued to change, it became Venezuelan, Mexican, Columbian to the point where, by the time that I got into the business world, I already had friends in almost every background known to man. There are cultural differences despite being Latin American, Hispanic or however you want to categorize it. There are certainly ways to deal with different demographics from those countries. I think certainly to be able to handle that kind of business, you have to be culturally aware of what is going on in Venezuela; what’s happening in the recent Columbia election; what’s happening in Mexico. That’s an easy way to open the door to a conversation with your customers—making sure that they understand, not only is this not just about business, it’s about knowing who you are and where you are from and why this relationship makes sense. Being born here, I don’t know any other way. Acosta: Another thing, too. I’m from Rhode Island, and it’s very different from Miami. I think you build loyalty here, where, in other places like New York—I lived in New York for a long time—there’s not that loyalty that goes with building a relationship with someone. Here, my clients are my friends. Most of them call me on my birthday or I call them. I know about their kids and family. When you have clients that follow you through every single company you’ve gone through, I’ve been in the industry for 23 years, and I have clients who have been with me for the entire time. You can’t say that about other cities. It is like a family and we feel closer, in doing business together. 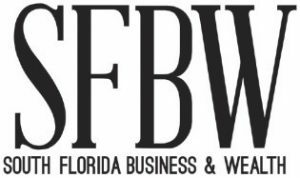 Since the Hispanic population is one of the more rapidly growing categories in the United States, are there insights among Hispanic businesses here that create a competitive advantage of doing business outside of South Florida? Cueto: I think you can ascribe the approach to doing business in South Florida and apply it in a market where they aren’t used to this kind of warmth and this type of personal relationship. I think in a world where customer service is virtually nonexistent, if you provide good service and you provide a warm relationship on top of that, you win their trust. It’s a win-win. Fernandez: In my line of business, I don’t just go to Texas and get a job or win a bid on a building over there for simply being Hispanic. For the most part, at least for me being a South Florida general contractor and going abroad or to another state on that end, here is our grassroots and it’s a lot easier for us to get work done in South Florida than it would be to build somewhere else. However, there have been many successful companies that have ventured out of Miami. Alonso: From our standpoint, it definitely helps if you’re trying to do business in Latin America. I’ve noticed that the Midwest culture likes the Latin culture, because we are friendly, and we’ll make them Cuban coffee. Peña: The first generation born here doesn’t have an accent like their parents do. I think there are still some regions in the U.S., where there is some pushback, where they don’t feel that comfortable. Is this guy different from me? And it’s natural. We tend to feel closer to people who are like us. Fleches: And I want to provide a perspective that’s contrary to what’s been said. Look, Miami is very warm—like most coastal communities, which have an acceptance of diversity. The warmth and the openness that we have here in South Florida allows other people from other parts of the country to come to do business here and compete. But it’s not as easy for us to come out of South Florida and compete. I have an accent, right, and I don’t hear my accent. You can say that there’s an openness, like Miami, in New York, Chicago and San Francisco than other parts of the country. I think we are leading the way that America is going but it’s going to take some time for all of America to catch on. The Kaufman Foundation ranked South Florida No. 1 for startups nationally. How big of a role do you think Hispanic entrepreneurs play in this? Fleches: I think that the Hispanic community has a strong entrepreneurial spirit. I definitely think this mindset contributes to startups and new entities that are created in the U.S.
Fernandez: The development in Miami is led by major Hispanics, from Jorge Perez and Armando Codina to Mike Fernandez. Another thing Hispanics do is a lot of mentoring, so you’ll see numerous spinoffs from companies because of that. Alonso: For those of us who are Cuban, there’s a lot of pride in the culture. And I’m half-Puerto Rican, by the way. Cataño: Miami is the capital of Latin America. Immigrants are inclined to be self-employed. We are proud to be Latin Americans, and Miami is more welcoming. And I had thoughts about moving in 2008, and I tried and visited a few places and we liked how this place is setup for us as Latin people. I love this town, and I won’t move. Cueto: You can certainly see where immigration was the impetus for entrepreneurship. Miami today, it’s a very different Miami that my parents arrived to in the late ’50s. Back then, you had two choices: You either took a $4 an hour job, or you were an entrepreneur and figured out a way to make it work. Because those opportunities and the doors weren’t open back then. If you were Cuban, you were an outcast. My parents spoke to me about the discrimination against Cubans when they got to Miami because the city was predominately white. I think a lot of things happened from that as a byproduct. I think you saw a ton of Cubans go on an entrepreneurial route, and be successful. And, two, that first generation that was born here benefited from the struggle of their parents. People who were attorneys in Cuba were working in retail when they arrived in Miami. In my life, seeing that struggle was a huge impetus, saying, “OK, I’m going to be successful because of Cuban pride.” There’s this pride where it doesn’t matter what is put in front of you, you’re going to walk through that door. It’s different now. You can get here and there’s a ton of opportunity, but that’s not what I necessarily saw. I saw a struggle, and that led to success and created a mindset for my generation, the first generation that was born here. It’s a different view. Fernandez: One inspiration is seeing your parents struggle of putting everything on the line to give you a better life and make you work and put you through good schools. Another criteria that Hispanics have is that fight to have a better life. I owe that to my parents to where I am today. If you had to point to a role model in the world of Hispanic business in South Florida, who would you pick and why? Fleches: My father came to the U.S. and worked for a commercial restaurant equipment service organization. He was an employee and eventually bought the business the year before I was born in 1972. As I was going through school, I remember my dad would work multiple jobs and he put me in private school. My father would come home [at] 5, 5:30 p.m., take a quick shower, have dinner with us, and then leave to go work. And then on Saturdays and Sundays, he would do something different. Talk about a guy who did what he had to do to get it done. My mom, the same thing. She never had a formal education, but she worked in a factory in Hialeah until my brother and I started going to secondary school so we could have additional income. Fernandez: People who came from nothing. Armando Codina came from nothing via Operation Pedro Pan [a children’s exodus from Cuba in the early 1960s]. Mike Fernandez, in the health care business world and being able to take a company, touch it, sell it, start another and do it again. Some Hispanics have that flair for business. Those are great role models, because they stuck with our community and they could have easily gone abroad or gone elsewhere. They put all those dollars in the county, and the impact they have created from the industrial world to the residential/condo world … I mean, without those guys here, I don’t think there would have been so much emphasis of dollars being put in, in South Florida.